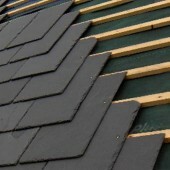 If you require new roof tiling or slates, re-roofing or roof repairs, Top Job Roofing can cater for all requirements. Be it a large project or a small job, we offer a comprehensive range of options, using only the best materials available. We are members of the National Federation of Roofing Contractors and TrustMark (Ref: 2252), and are committed to providing a prompt, friendly and very professional level of service to our customers. 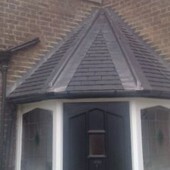 Top Job Roofing boasts in excess of 25 years’ experience within the trade, and we have supply and install various types of slate, including stone and natural slate, in addition to plain tailing. Whatever your roofing requirements may be, contact Top Job Roofing on 01923 250216 today!